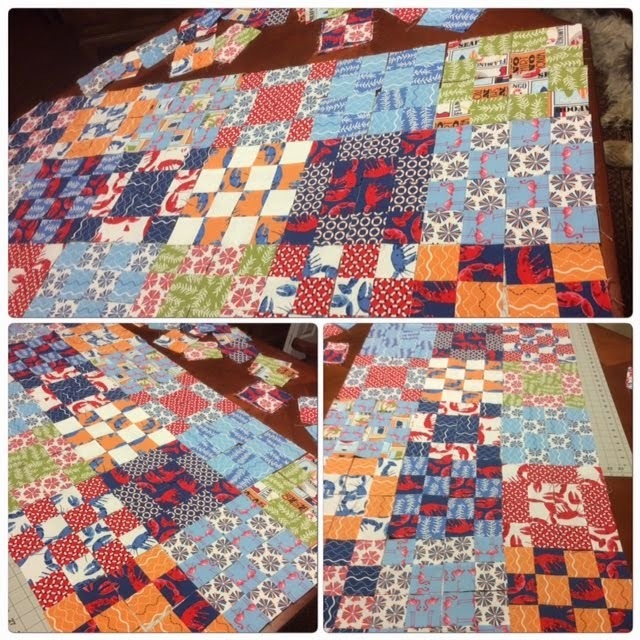 Playing with placement on this small quilt that will be used to cover the couch cushions in our Maine cottage. It will make it easy to clean up after the dog and grandkids! I think I like it, but will play with it for a little bit.